Today is Monday, and I have decided to participate in my first “Marvelous in My Monday” (MIMM) post! MIMM was started by Katie from Healthy Diva! MIMM is way to share all of the ways your weekend and monday were marvelous. This is a great way to start the week on a positive note. I’m so excited to participate in this celebration, so let’s get started! Today is marvelous because it is Martin Luther King Day! It’s a day to celebrate diversity and equal opportunity. Take a moment today to reflect upon this blessing & give thanks to the individuals who helped pave the road for unity and peace. Another reason today is marvelous is because I don’t have school today!! Although Monday’s aren’t that busy this semester, it’s nice to know that I have the entire day to get work done at my leisure! Now onto share some weekend highlights! The weekend was low key, and you know what? I was absolutely okay with that! Sometimes you just need a slow paced weekend to collect your thoughts, rejuvenate, and organize. Saturday night was by far one of the most memorable nights of the weekend! Our neighbors, invited myself and my roommates over for a lovely vegetarian dinner! I didn’t have my camera on me, therefore I couldn’t snap a picture of the amazing dish with butternut squash & chickpeas. I MUST get this recipe..so amazing. The night was filled with laughter and lovely conversation. I feel so blessed to have friendly and supportive neighbors. Sunday was marvelous because I got to spend some quality time with the roomies! Annie, Laura, and I decided to venture out for a walk. 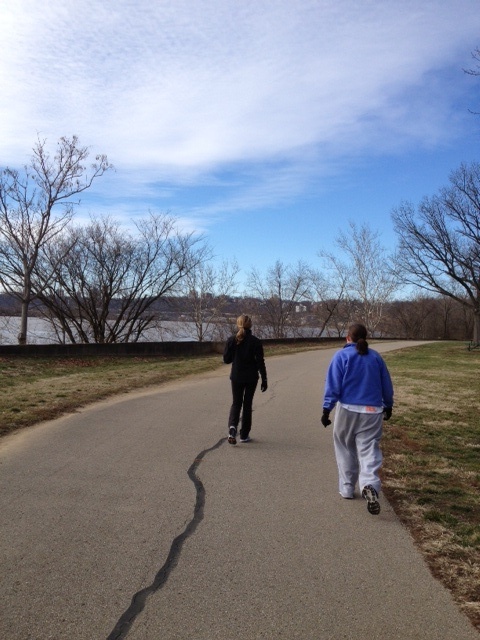 What started off as a stroll in the neighborhood, quickly turned into a 4 mile power walk along the Ohio River! Annie is a speed demon and pushed Laura and I to pick up the pace! I can honestly say, my heart was a pumpin’ throughout the entire walk! Having girl talk + good company made the time go by quickly. The day was gorgeous and the view was incredible! How is your Monday Marvelous?? ← Up to the Challenge! Looks like a beautiful walk/run! Yay for no school! I hope you enjoy your day off to the fullest. 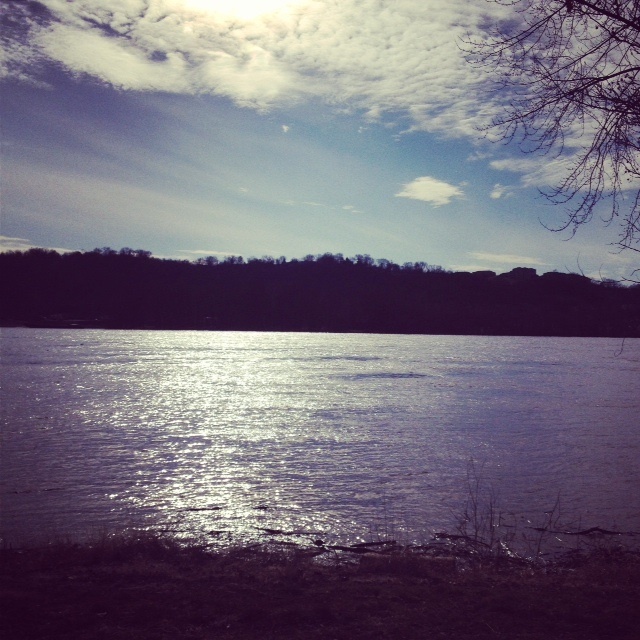 What a beautiful walk…powerwalk =) Hope you enjoyed your day off. I totally love low-key weekends! This past Sunday afternoon I studied in my favorite cafe with lovely coffee and snacks, and then went to get a manicure, then headed to a movie theater to see a documentary by myself. Sounds a bit off but all that alone time was what I needed to recharge for a week at work!